In these trying economic times we all are struggling to make ends meet. If you come to the harsh realization that you can no longer continue to make the mortgage payment of your home there is an option of doing a short sale. A short sale is when you sell your house for less than you owe in your loan terms. You should consult with your mortgage lender first. They also have to agree to take a sum from you that is less than the remaining balance of your mortgage. The process is a good alternative to bankruptcy or foreclosure. The first step is to determine the value of your home. If you plan to sell your home yourself (called for sale by owner) it’s up to you to do a market analysis of the area you live in and your house. If you have selected a real estate company to broker the sale of your home, they will determine the market value for you. 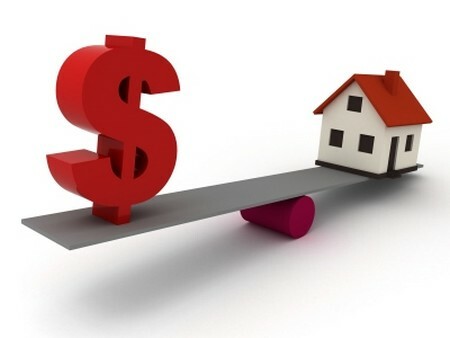 Determine the sum of all the expenses involved in selling your house. If you are doing a “for sale by owner” transaction you can use different resources to help you determine an accurate figure. You can call a local title company, real estate company and ask as a seller how much closing costs should be. If you are using a broker through a local real estate company, the closing cost estimates will be given to you. Make a note of the actual amount outstanding in your loan terms. This is the sum owed against the home. All loans that were taken out to secure the home should be added here. Make the math count. Subtract the total amount outstanding on your home or property from the profits you figure will come of the actual sale. In a short sale transaction, the number will always be a negative value. This is because the amount owed is greater than the sale proceeds. Call the customer service department at your lender or lenders. Advise them of the current circumstances. If they direct you to a different department that handles these types of matter specifically, that may be of some help to you. Ask to speak to a person who holds a managerial or supervisor title. A supervisor or manager has more authority to make decisions like deciding to take an amount less than the sum of your loan amount. Educate yourself while you have a representative from the lender or lenders on the phone. Ask the representative what their specific procedures for short sales are. Some lenders will come to some sort of agreement with you. They will find options to help you along the process like lowering the amount owed. Some lenders will look to the other agents involved in the process and contact them on your behalf to see if those agents are willing to also concede so that your sale is possible. Some lenders will not offer to accept a short sale. They will say that your debt is valid and should be remedied by you. Sell your home or property.